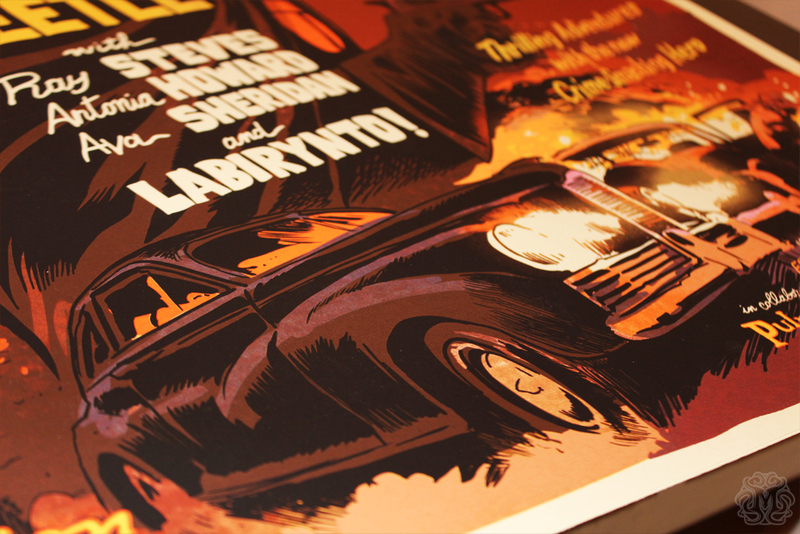 I am so happy to announce that soon I will have regular, variant and Artist Proof editions of the very first BLACK BEETLE MONDO poster for sale on my webstore (keep an eye on my blogs and on my twitter @f_francavilla for forthcoming updates and more details). 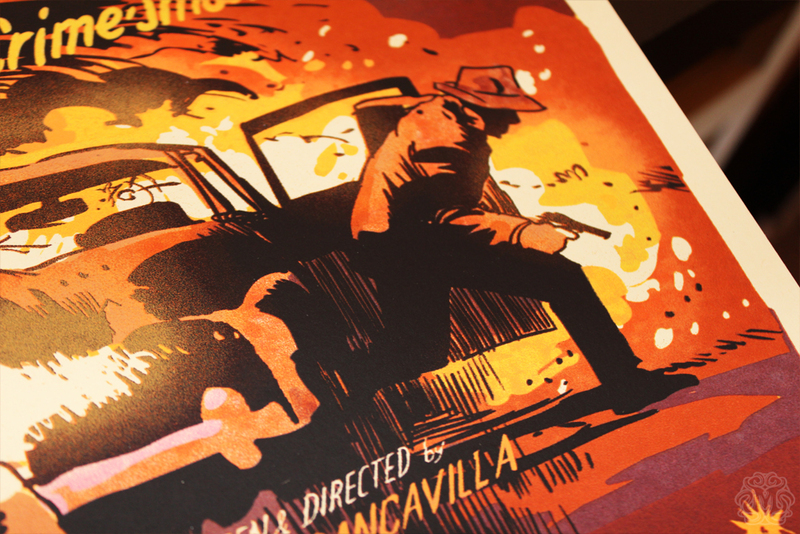 Here's Mondo's Press Release and some detailed close-up shot of the poster courtesy of the Mondo blog. The Black Beetle is centered on a pulp-noir character and takes place in a fictional universe that's based in Colt City. 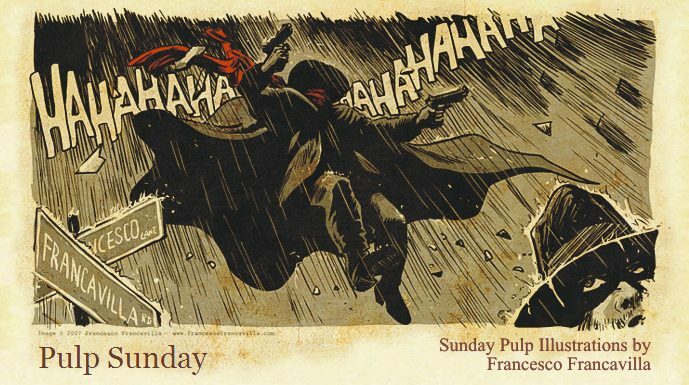 The character debuted on the pages of Pulp Sunday, Francesco Francavilla's blog devoted to all things pulp, and had a brief life as webcomic before stepping in the print world with an ashcan first, and on the pages of Dark Horse Presents anthology later. 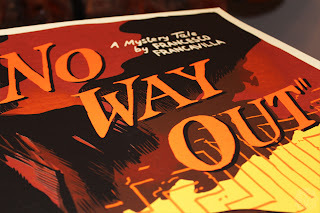 Francesco quickly realized that many fans were interested in exploring this world with him, so soon after the short run in DHP, a new 4-issue mini - titled "NO WAY OUT" - was released. The first 2 issues have sold out and have required DH to go back to press for a second printing. With issue 4 coming out next week and with the first hardcover volume - also titled "NO WAY OUT" - available for pre-orders right now, there is no better time to jump on board of the fantastic adventures of The Black Beetle. 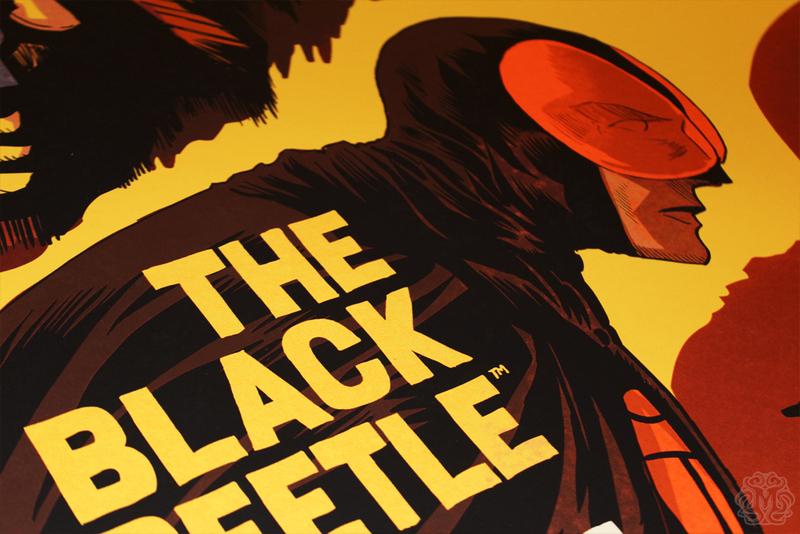 The Black Beetle is a Detective/Vigilante SuperHero – His mission is to fight crime in Colt City. We don't know who he is, not yet anyway. We do know that he has access to some advantaged technology and that he is patrolling the city streets and protecting the citizens the best he can. He is –after all- one man. Colt City is a fictional city set in the late '40s America on the East Coast and has a very "pulp" vibe to the city's depiction and inhabitants. Commenting on his collaboration with Mondo, Francavilla said, "I've been a huge fan of Mondo for a while, and I've recently become one of their poster artists (which brings me joy all the time), so you can only imagine how happy I was when I heard that they were a big fan of my creation, The Black Beetle. From there it didn't take too long to get to the poster you see here. Hopefully it's just the first of many. Hope you guys enjoy the poster and consider jumping on the books as well: they are what comics should be: 100% entertainment and FUN! 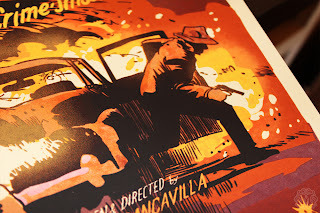 Thanks again, Mondo, for making this happen." This is awesome! I love old movie posters and I love your art! 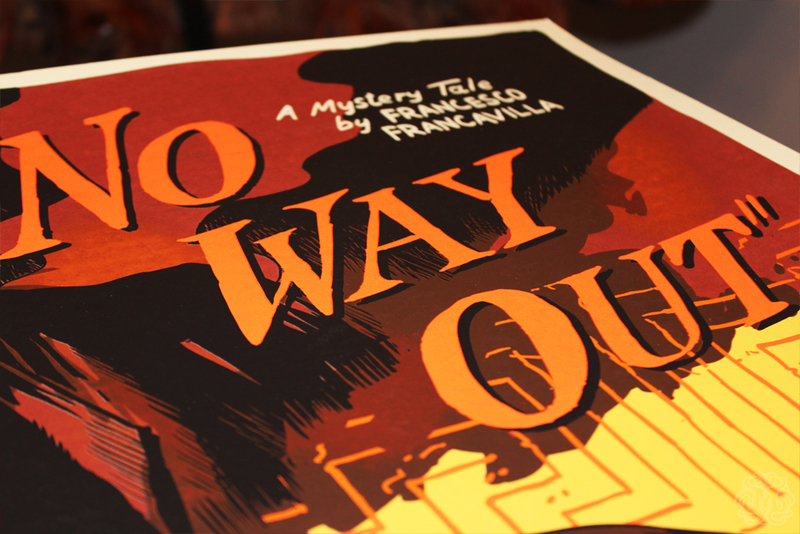 As always Francisco, thanks for keeping the pulps alive!